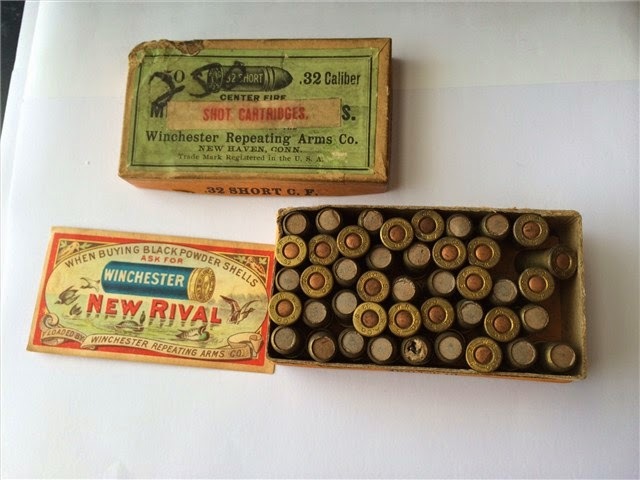 This is a very old box of Winchester .32 Caliber Short Shot shell Cartridges I recently acquired. 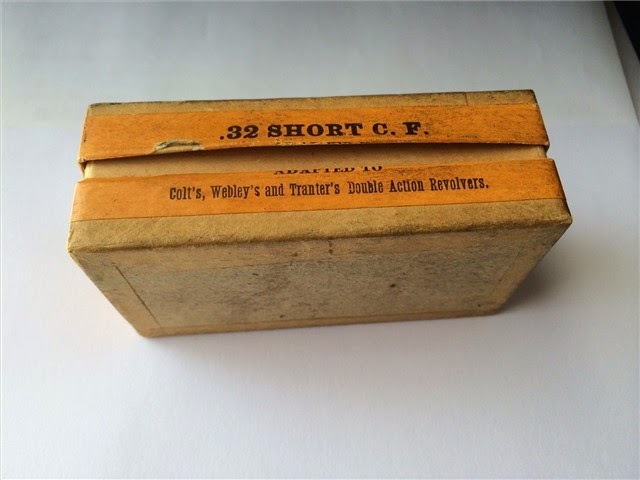 I have never had a box of shot cartridges this old. This is also the first time I have noticed reference to Tranter pistols on an ammo box. 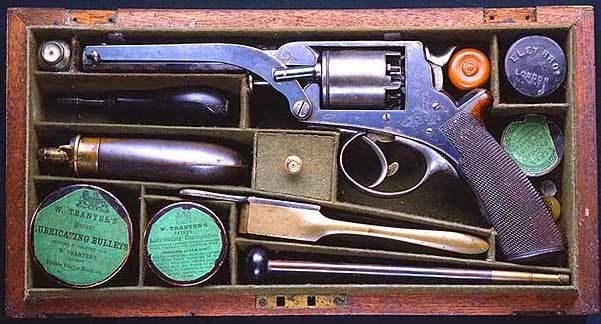 Trantor was a British pistol manufactured for approx. 1854-1880 and was popular among Confederate Military. I don't recall ever seeing a Tranter chambered in .32 short but apparently there must have been some. Most of the Tranters I've seen were in .36, .44 or .50 Caliber. 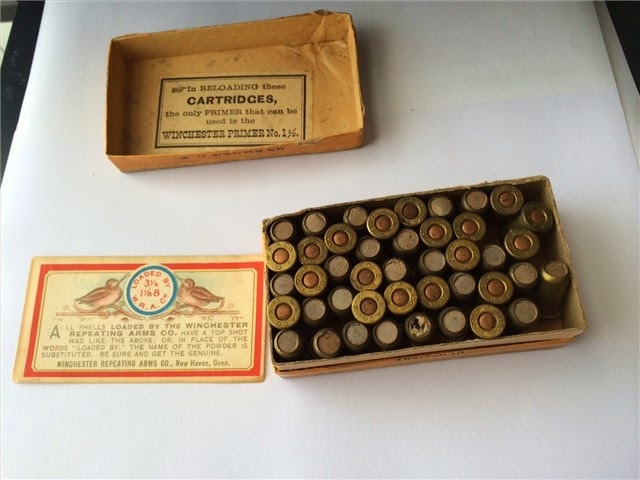 The shot shells were mainly intended to kill small game and pests. I suppose these could have come in really handy if you were a hungry soldier in the wilderness. Another surprise was the original Winchester New Rival Ad insert I found inside the box in perfect condition with nice colors.